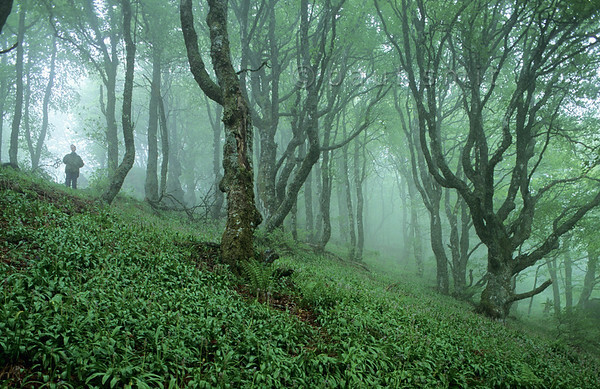 [FRANCE.AUVERGNE 28907] ’Foggy beech forest.’ The beech forests near Le Courpou Sauvage in the Vallée de Mandailles (Cantal) attain a magical quality in foggy conditions. 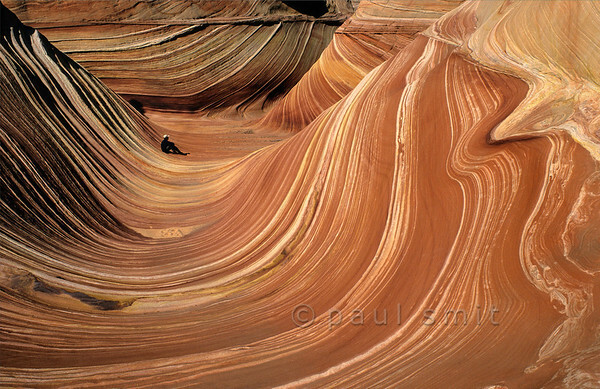 Photo Paul Smit. 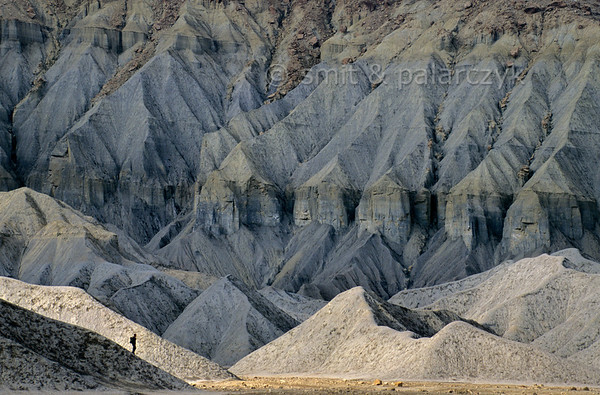 [USA.UTAH 28165] 'Badlands near North Caineville Mesa.’ The otherworldly landscape at the foot of North Caineville Mesa near the village of Caineville is complete devoid of vegetation and has been described as the "baddest of the badlands". 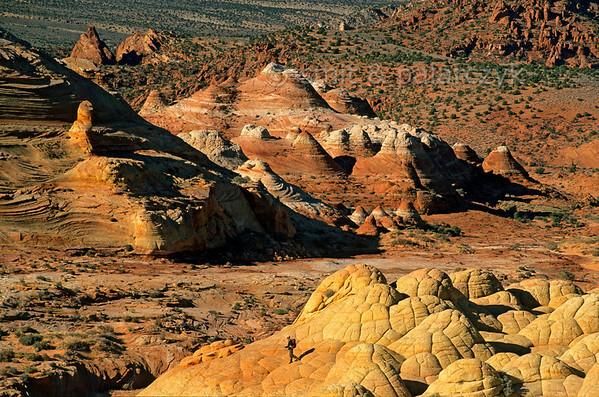 The grey shale and sandstone is part of the Mancos Shale Formation and dates from the Cretaceous period. Photo Paul Smit & Mick Palarczyk. 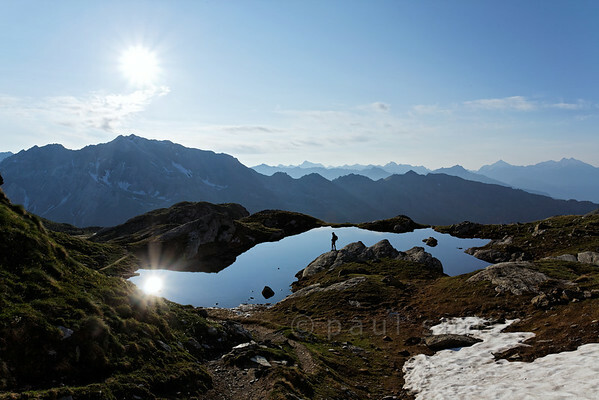 [ITALY.VALLEDAOSTA 28446] Hiker overlooking a small lake near Rifugio Cunéy between Valle di Saint-Barthélemy and the Valpelline valley in the Pennine Alps. Photo Paul Smit.